When it comes to retargeting – advertising to people after they visit a brand’s website without making a purchase – one of the most influential elements for campaign success is the relevancy of the creative that is shown to the consumer. Dynamic retargeting is the practice of automating the assembly, optimization and personalization of display ad creative on the fly. It lets advertisers customize ads by featuring the exact products or content recently viewed by consumers, which attracts their attention and helps bring them back to a site to make a purchase. The strategy is reshaping how marketers approach their campaigns. Leading brands are leveraging first-party data (the most direct consumer signals collected via their owned channels) to tailor in real time the exact images, messages and offers people see. How effective is dynamic creative? Google reports its clients’ click-through rates (CTRs) have increased as much as 450 percent once they started using dynamic retargeting in their campaigns. One vendor at the cutting edge of this trend is Triggit, a Signal Certified Partner. This innovative demand-side platform (DSP) is helping direct-response advertisers build, run, measure and improve their dynamic retargeting campaigns across major ad exchanges. Lately Triggit has been creating a lot of buzz over its relationship with the Facebook Exchange (FBX), one of the most sought-after retargeting channels due to its massive scale and 24/7 popularity with consumers. As the first-ever social media real-time bidding (RTB) exchange, FBX already accounts for about half of all retargeted ad clicks on the Web. As one of the first alpha partners on FBX, Triggit has built a specialized set of features and tools. It offers dynamic retargeting across Facebook’s right-hand rail and News Feed ads, where it says advertisers can drive more volume with greater return on investment (ROI). The most efficient FBX retargeting campaigns are using dynamic creative, according to Triggit. When comparing dynamic retargeting with static ads, Triggit executives say they see more than three times higher CTR and more than two times higher ROI. Driving better performance than generic ads, dynamic ads pull in details directly from an advertiser’s product feed to create truly personalized experiences for the products people viewed but didn’t purchase. 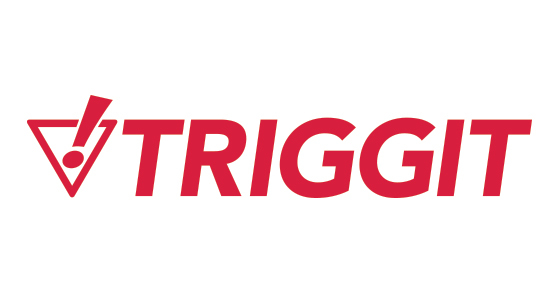 “Our dynamic product retargeting is incredibly effective at maximizing revenue for large, direct-response focused client campaigns,” said Zach Coelius, Co-Founder and CEO, Triggit. Since Triggit is a Signal Certified Partner, mutual clients have the ability to instantly enable data collection from Triggit. And because the integration is Server-Direct, Triggit can collect site-level data without putting additional weight on the browser, preserving page-load performance and the overall user experience. Customer insights are then fed into clients’ dynamic retargeting campaigns to inform the creative that is presented to people across popular channels like FBX.